Discussion in 'Trophy Photos' started by vintec, Feb 26, 2010. Just adding another pic to the APS photobook. 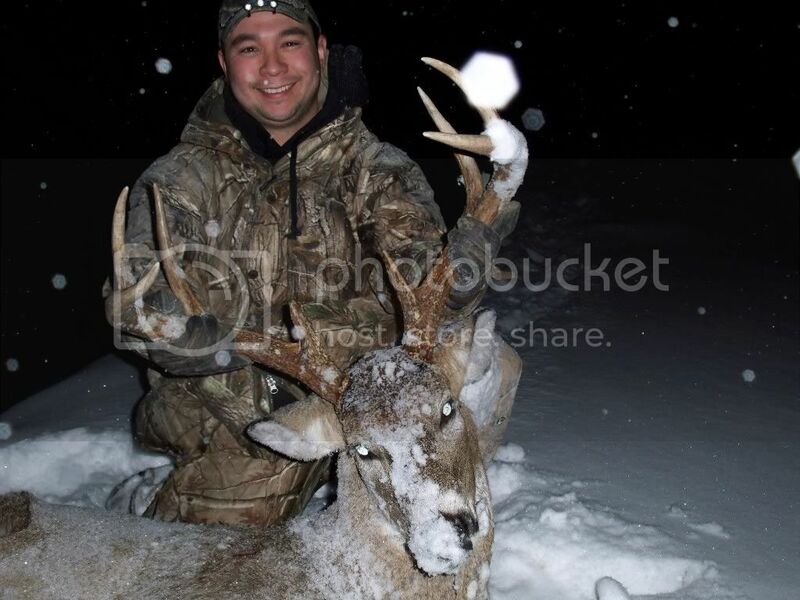 Congratulations on a very nice buck......and you used the right cartridge too. congrats. based on your other post , you are moving up in the AM world.
? I think I will find differnt place to hunt. Real nice buck, great picture... Congrats are in order! A place where you can shoot a whitetail like that at 789yds....I wouldnt give it up. I here ya on the chopper idea tho,I hunt the breaks of the Snake River in Oregon where EVERY pack is a big chore.But since my pockets arent as deep as the canyons I hunt Ill have to do it the old fashioned way. Congrats! Nice buck. Vintec, besides, you're healthy and young enough to be doing this many times a year for a long time. Now, an old guy like me would be looking for healthy and strong people like you to help fetch them out! Awsome shot and great buck! I'd help you drag out a lot of bucks if you showed me a spot where i can shoot deer like that at 700yards! Congratulations, very nice buck!!! What do you estimate his weight to be? Not quite ready to abondon the loction yet. I d be happy to bring you along. Cant promiss a good buck. I didnt wiegh him but I belive he dressed 150-165lbs. It was one of the biggest I have killed in few years. Deer of this size are very rare in WV. I did get lucky a few years ago and take 168" buck with a bow that dressed 203lbs. It wasnt as bad of a drag. I could get a winch line to him. Although a few years ago, at 203 pounds dressed I'll bet your still eating on that one. That is truly respectable in your neck of the woods or anywhere in the NE. and with a bow. Neat.